While in West Lafayette, Indiana, earlier this month, I stopped by Greyhouse Coffee for some lunch and caffeine. 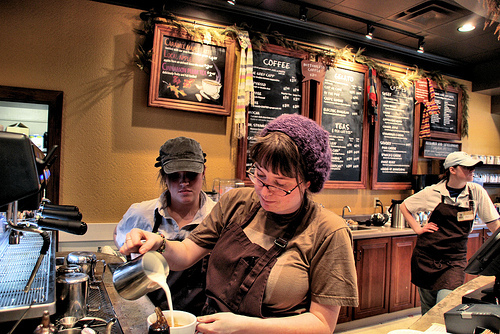 West Lafayette is the home of Purdue University, and like any college town there are several coffee houses within walking distance. I ended up at Greyhouse thanks to outstanding word of mouth reviews posted online. I have nothing but great things to say about Greyhouse: Clean, ample seating, simple menu, and natural food. The crepes were terrific, and the coffee was superb. 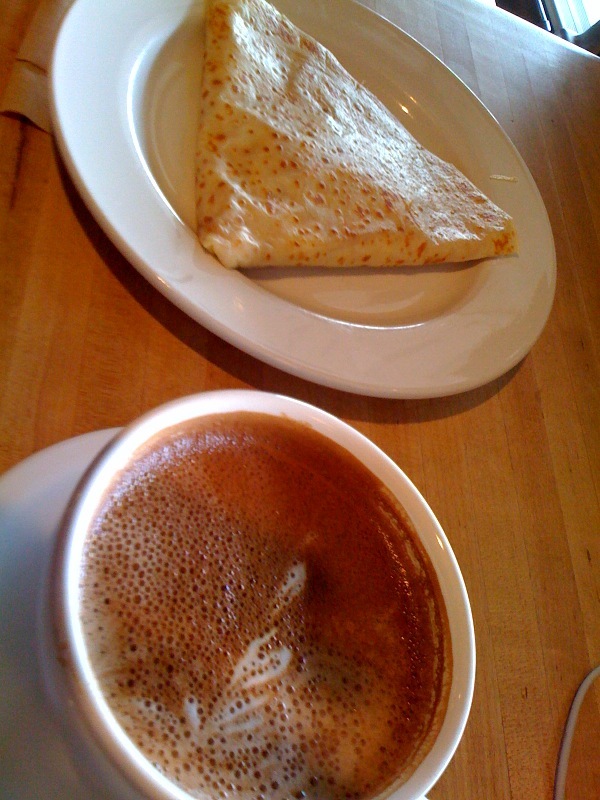 I had a mocha and a four-cheese crepe. Another neat thing: There seems to be some requirement that all employees wear cool hats.